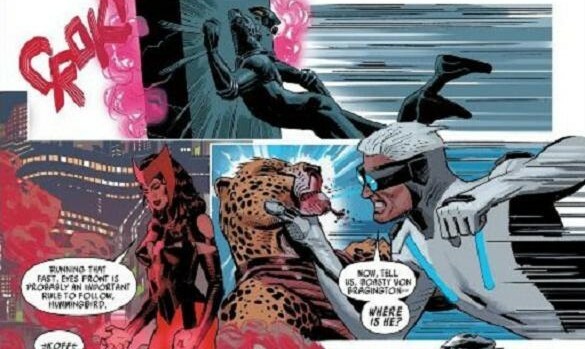 Following the controversy of Avengers & X-Men: Axis, writer Rick Remender reshuffles the deck for a second volume of Uncanny Avengers, re-devoting his attention to a more manageable cast of characters. “Manageable” in the sense that he’s dealing with considerably fewer players but the current combo still has “potential fireworks factory” written all over it. 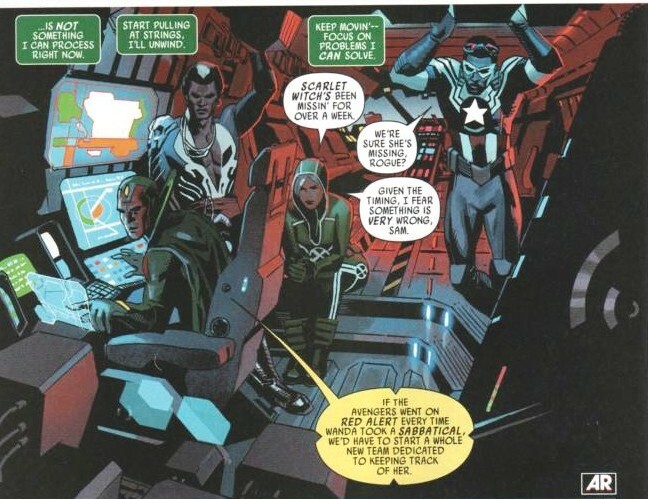 In fact, the latest roster for the aisle-crossing Avengers Unity Division is a perfect distillation of his recent event story. As an additional back-door save, reframing some of Axis’s more bizarre and inexplicable plot points against the current trajectory may prove to take some lingering bad taste away. 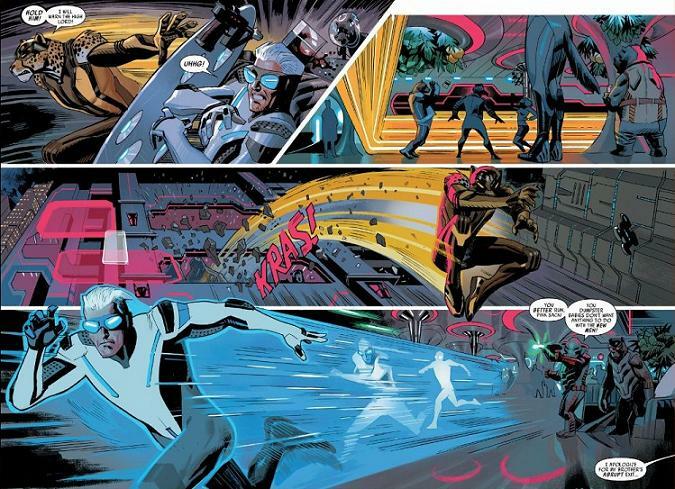 Overall, Remender seems back on his game with renewed energy. As clumsy and out-of-depth as his narrative got when given the linewide spotlight treatment, this a true return to form. Starting with the original run of Uncanny X-Force, his has always been the story working best in its own little pocket off to the side. Given how this latest saga kicks into gear, it’s indeed a welcome, reliable strength to revisit. Even his team reflects a more relaxed atmosphere despite the in-story explanation that they’re an ad-hoc assembly. With the exception of the Vision, who hasn’t really prominently starred in anything since the short-lived Avengers A.I. series, this gathering looks like Remender’s personal wishlist given looser constraints than the establishing mandates of the previous volume. The greatest hold-over asset from the last incarnation, though, is recurring artist, Daniel Acuna. Originally brought in as some kind of unheralded mid-flight replacement, he positively owned that set! His radical visual style hugely influenced the course of the previous arc to the point that subsequent veterans (Salvador Larocca and Steve McNiven) just seemed like substitute teachers comparatively. Possessing a distinctly idiosyncratic arthouse style, Acuna doesn’t so much illustrate as he does wholly sculpt out of geometric shapes. Supplying his own painterly colors as a one-stop-shopping art powerhouse, it’s truly fortunate to have such talent turned loose on superhero comics. Over the course of his past offerings, he seems particularly adept with exotic sci-fi-inflected tableaus and really leans into it here. 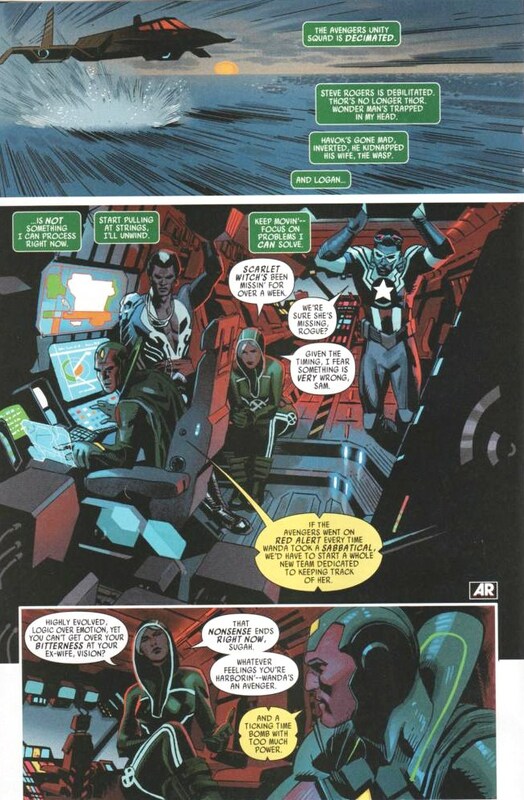 Maintaining this level of quality, it seems unlikely that Marvel will get any complaints if these Avengers never return to plain, boring Earth or normal, run-of-the-mill Manhattan. Onomatopoeia that’d make ’66 Batman proud. “Wazzz”, indeed! However, for all the best feet going forward on this outing, it does beg the question of how much long-game there is in this now. Granted, it does seem unlikely for Remender to have another four year/multi-title epic up his sleeve so quick on the heels of capping the last one but the projection here already feels drastically short-range. His new chosen A-plot is a subject that can afford him a great amount of mileage but will probably wrap in four to six issues. Lord knows it’s a tapestry many a previous writer’s tacked onto but in all fairness, there’s still many fresh points to address (self-perpetuating or otherwise). Beyond that, there doesn’t seem to be a lot else on the plate that doesn’t have some manner of pre-existing timer attached. 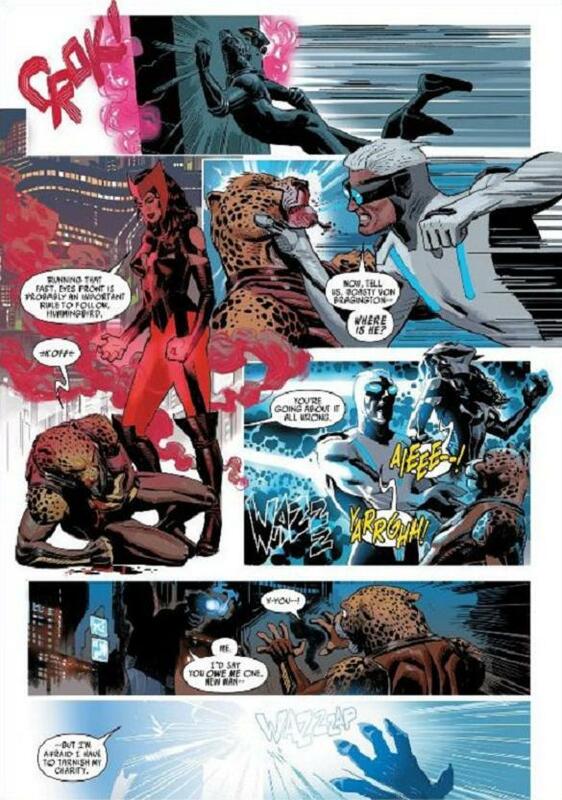 It doesn’t matter if it’s the inevitable segue into the Universe-altering Secret Wars or the invariable reversion of Sabretooth taking a bloodthirsty swipe at his heroic handlers (a trick Rogue should be all-too-wary of), it is slightly jarring to reinvest in an ongoing only prepping for this (relatively) quick jaunt. That’s not to suggest that there’s not gas in the tank, just that the beats are probably going to fall twice as heavy. Regardless, keeping Acuna riding shotgun will doubly ensure that it’s going to be one hell of a trip no matter what.